There are times when a crusty exterior is a red flag for good things inside. 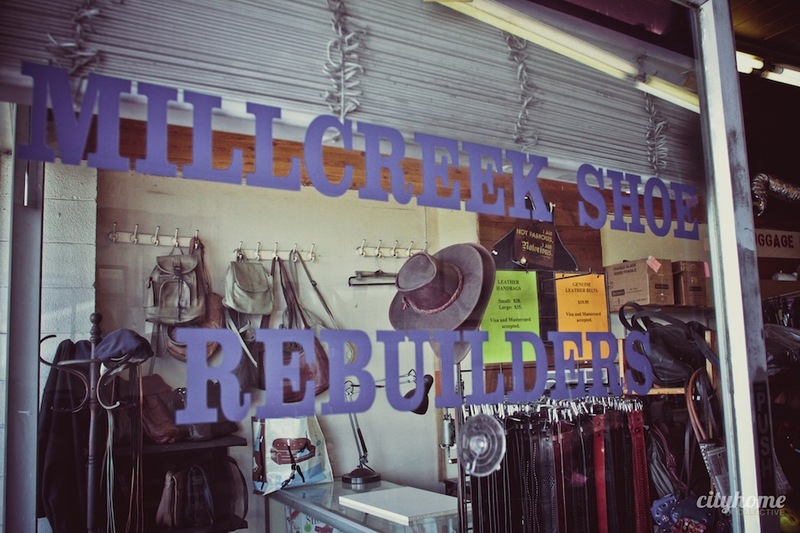 Surely, at one Millcreek business this is the case. 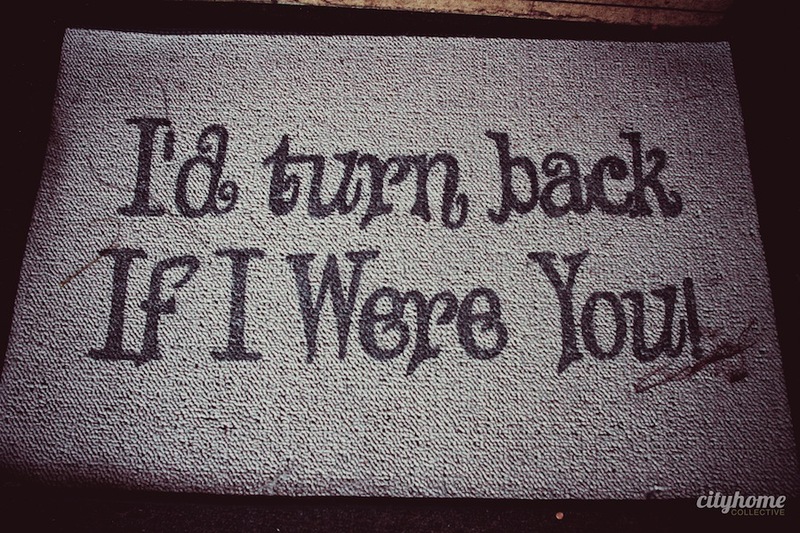 From the welcome mat that reads, “I’d turn back if I were you” to the shop owner’s slow, negative cadence...it's clear that customers don't come for the rainbows and unicorns. Dan Ruger began his work in the 80s, and he's in the same exact Millcreek perch to this day. 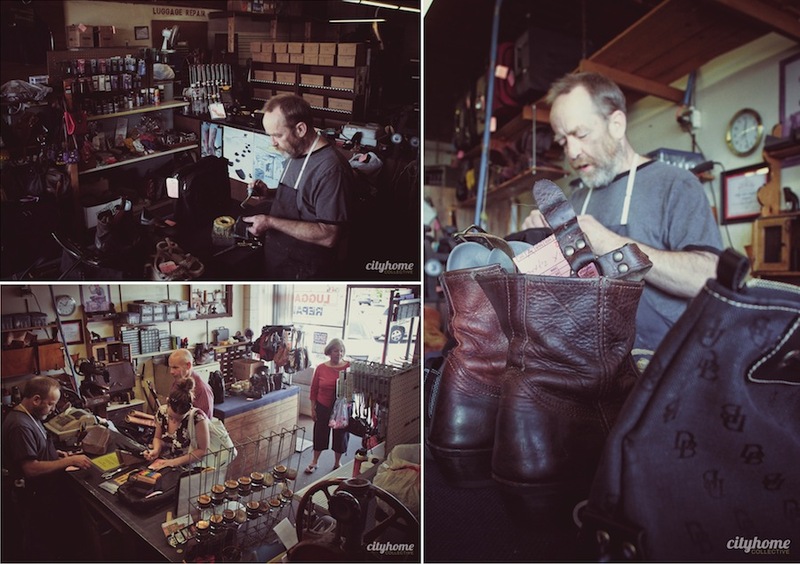 He replaces the heels of pumps, installs boot zippers, buffs out leather, and sews anything made from animal skin that needs attention. His customers, mostly women, come back time and time again for the man who gets the job done sans smile [who they suspect may be soft inside]. 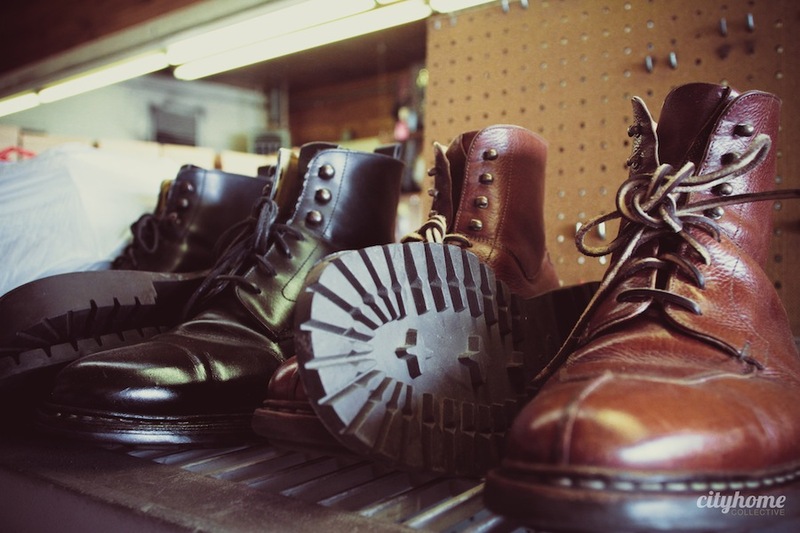 Avid fans of refurbishing worthwhile stuff, we love a good cobbler and got to know a touch more about Mr. Ruger and his art. 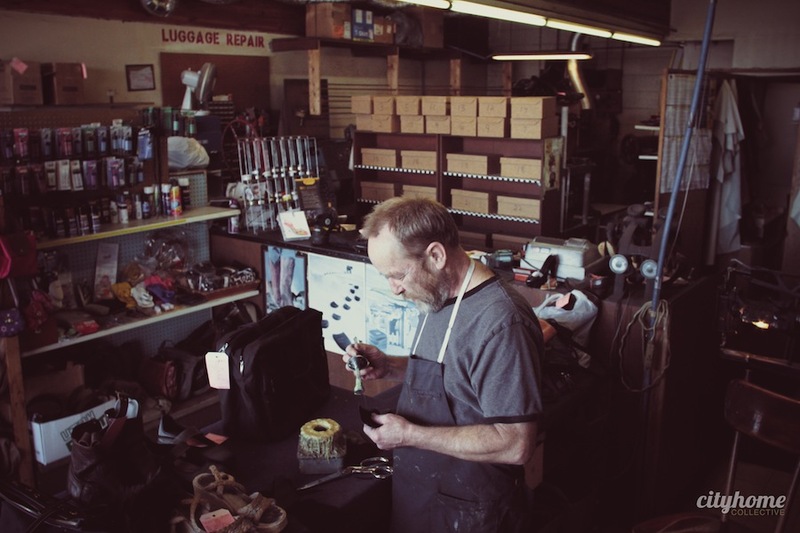 Mr. Ruger originally learned his trade in his twenties from Armenian immigrants. 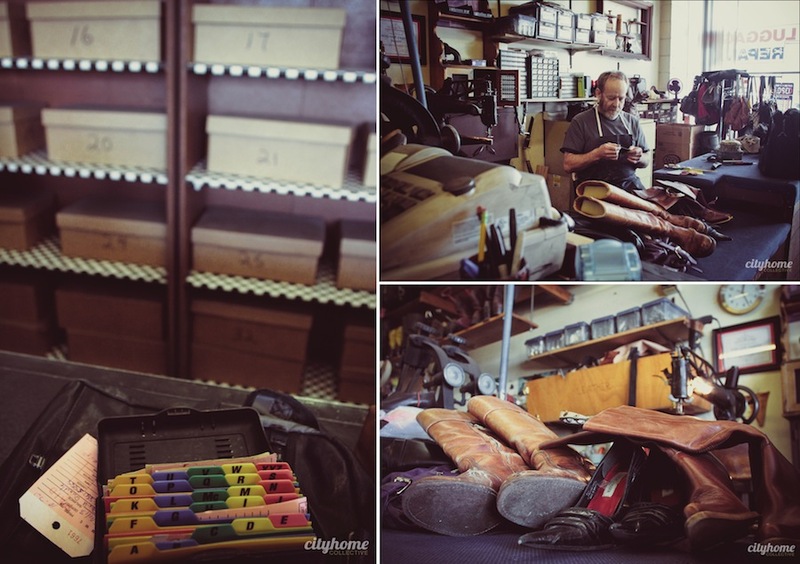 Now, after 30+ years as a full-time cobbler, his work is calculated and guaranteed. 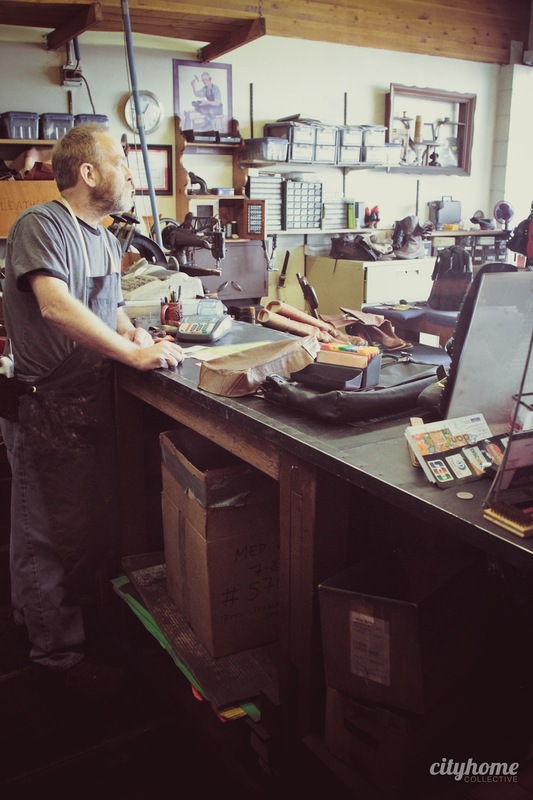 He's as comfortable fixing an antique leather briefcase as he is buffing out someone's coveted, dusk-suede Sergio Rossi's. That's not to say he won't grumble about it, but it will be priced fairly and done well. Of the dozen or so cobblers you estimates to be in the Utah area, you claim to be the mayor. How did this come about? I’m self-appointed. 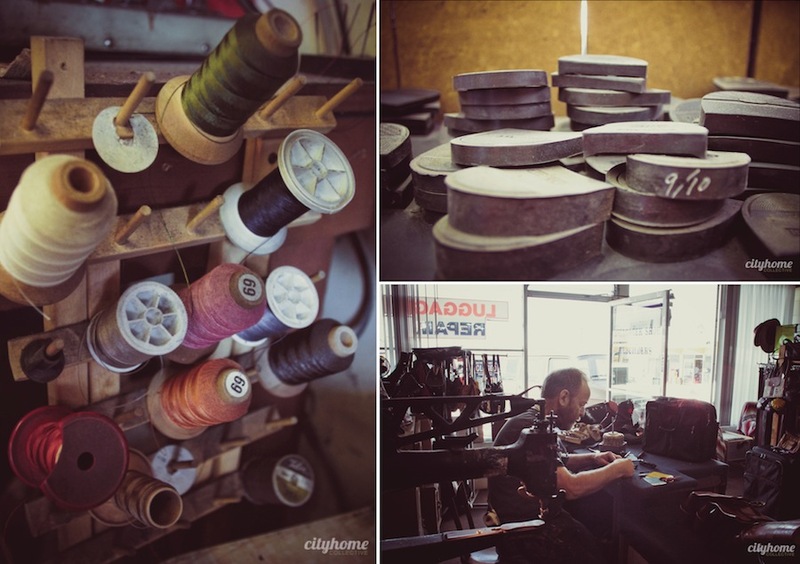 What does it take to be a good cobbler? It’s a combination of engineering skills, creative ability, problem solving and mechanical aptitude. There are always problems to solve. Advice for your customers? Don’t bring me junk. Junk is hard to fix. 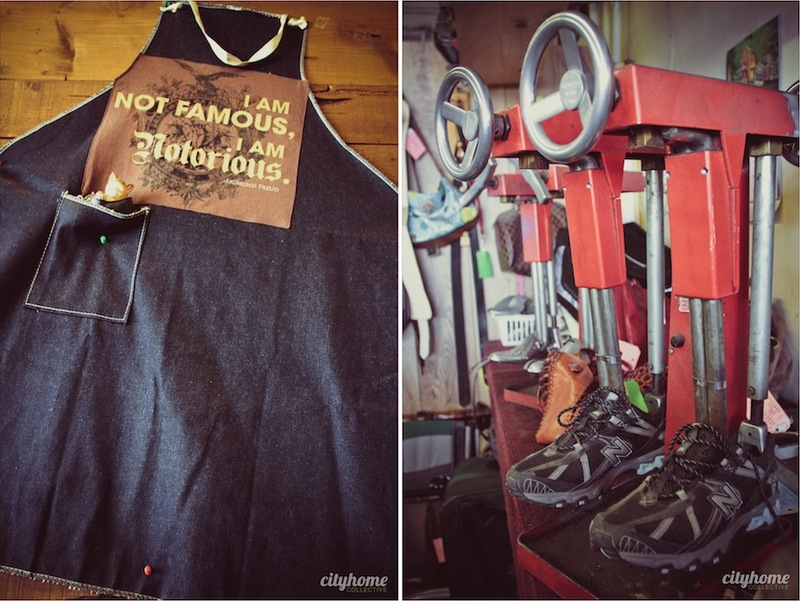 Do you think cobblers will be around as long as we are wearing shoes? The world is changing – so we can’t predict. In 25 years shoes may not be a thing. But I believe they will be. A lot of this stuff is fashion. Women have this love affair with shoes. I don’t know what it’s about but they buy closets full of shoes. A lot of them they don’t even wear. They love shoes and they love fashion. 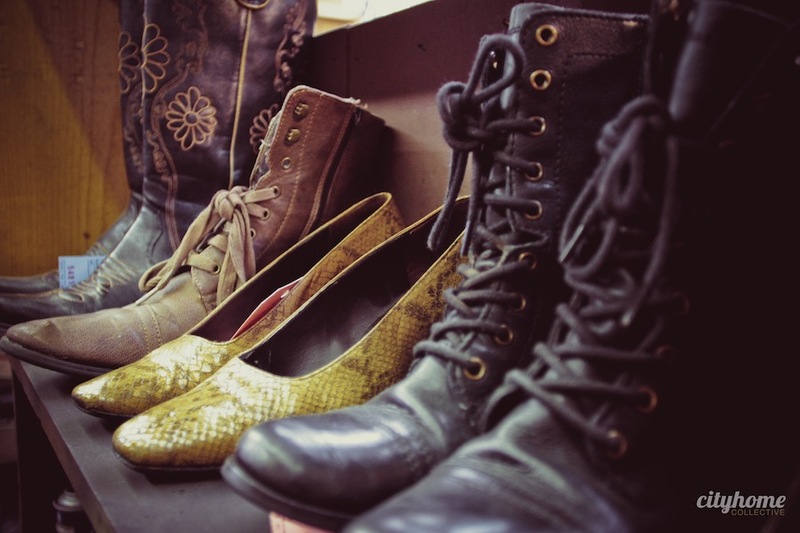 Does your wife have a closet full of shoes? Yes. You had another career in Utah. Yes, I’m a very opinionated person. I actually had radio show on KTALK. It was called the Dan Ruger Show – and it was very popular. The driving engine behind it was the bumper music – the music I played really kept it going. 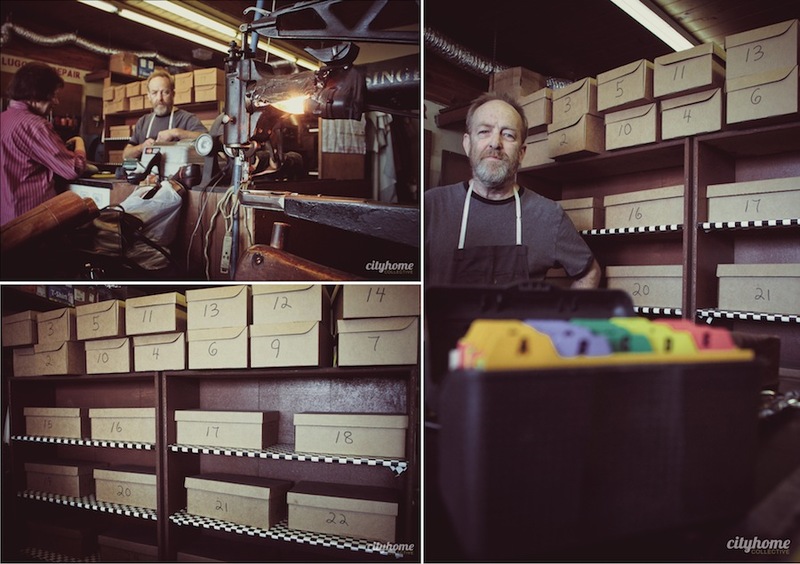 Is your shop organized? Yes, it's very organized. One of the most important things is that you always have to put your tools back in place. Because, like a doctor who needs a scalpel, when you need a tool right now, you need a tool right now. Bonus cobbler fact: When Dan isn’t at work, he can often be found in his home recording studio playing classical guitar. He’s recorded three CDs – and he’ll likely give you one for free, if you ask.